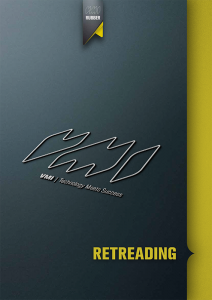 VMI developed the RETRAX retreading system, to answer to our customers’ needs of the present and the future. 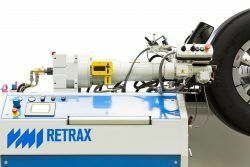 The RETRAX employs the renowned cushion gum extrusion-smearing technology. 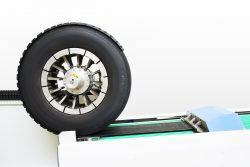 The RETRAX with builder and stitcher automatically applies the tread to buffed tire casings. This new tread applicator is especially designed to deliver the highest quality and highest productivity. "Quality extrusion solutions for the retreading industry. "Innovative automation for highest quality retreads.